The Higher Education Commission (HEC), Pakistan organized the 2nd National Symposium on Thematic Research in Social Sciences here at its Secretariat on Wednesday, wherein scholars showcased their research in various fields of Social Sciences. Dr. Mukhtar Ahmed, Chairman HEC and vice chancellors of different universities, faculty members, researchers and students attended the daylong symposium. In his opening remarks, the Chairman HEC urged the participants to identify weak areas in Social Sciences which could be focused for result-oriented research. “Social Sciences is a very important area, but at the same time it is a missing link in our education system,” he said, adding that it is our academic responsibility to strengthen our nation socially. He said that strengthening of Social Sciences in the country is necessary to keep the society intact. Dr. Mukhtar Ahmad announced establishment of the Social Sciences Council of Pakistan, a conceptually independent body comprising professionals for further development of research culture in all disciplines of Social Sciences. He said that HEC will release separate funding for the Council and will cater to its needs. The Chairman said the HEC has been according due importance to all the three aspects of Social Sciences i.e., academic, research and social outreach, and several remarkable steps have been taken in this regard. He said that Pakistan has gained the membership of Asian Social Sciences Association (ASSA) and efforts are afoot to hold the Association’s meeting in Pakistan. He lamented that as compared to economic and technological development, social progress is taken for granted. He emphasized the need for setting up schools for research in Social Sciences so as to promote post-graduate researches in the field. 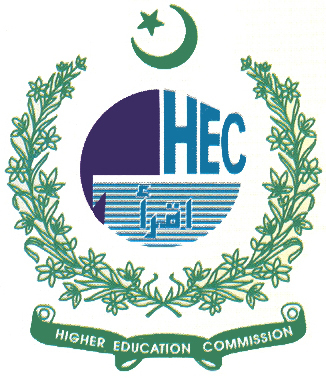 Referring to the mushroom growth of illegal universities as well as campuses in the country, he said that HEC is against the use of higher education for commercial purposes. He urged the universities to pay special attention to improvement of governance and quality of education. In his keynote address, Dr. Kaisar Bengali, Adviser to the Government of Balochistan, stressed the need for conducting research on prevailing social problems of the country. Emphasizing relevance of researches to the social needs while pointing out problems like poverty, injustice and unemployment, he said that the structural imbalance of economy creates panic and needs to be addressed. He maintained that Pakistan does not lack resources, however the equitable distribution of resources is a need of the hour for national development. Dr. Bengali urged the students to rise up and vent their anger against the deteriorating situation in the country through productive research on critical issues of the society and areas linked to the social uplift. He underscored that democracy has been strengthened in the country and the State has decided to eliminate the jihadist culture. He hoped that Zarb-e-Azb Operation will yield positive result and the curse of militancy will end. In her concluding remarks, Dr. Samina Amin Qadir, Vice Chancellor, Fatima Jinnah Women University, appreciated the efforts of HEC for paying due attention to Social Sciences. She shed light on topics of different researches showcased on the occasion and admired the social scientists for their endeavours. Mr. Fida Hussain, Director General Academics HEC, said that the recommendations of the Symposium will be shared with universities across the country so that the new researchers could benefit from them. He said that the Social Sciences Section of HEC Academics has been putting strenuous efforts from promotion of Social Sciences in the country for the last 10 years, adding that the next symposium on Social Sciences will be held by the end of this year.